- Round stainless steel bezel with clear pave crystal insets. 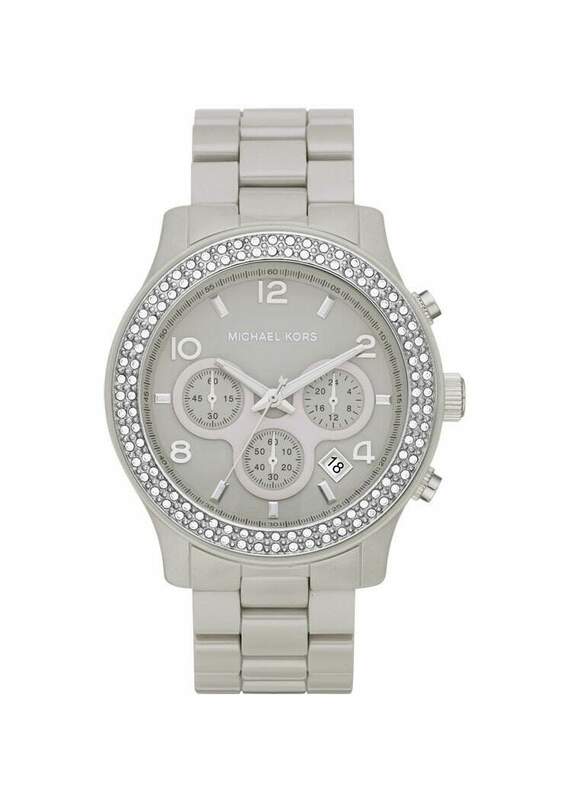 - Silver dial with tonal time stops and accents. - Ceramic bracelet strap with deployant buckle.